Fill a glass with 60 ml water. 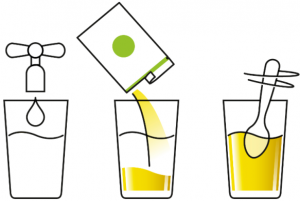 Take one sachet out of the package, tear open along the green line and pour the powder content into the glass of water. Stir well with a spoon until all the powder has been dissolved. 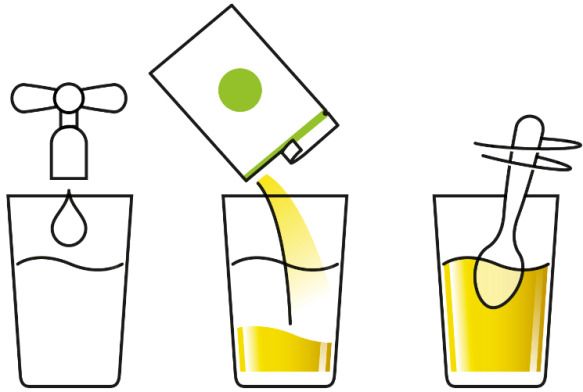 After the sachet has been opened and MacuView has been prepared, it is recommended to consume it immediately thereafter. Do not consume later than 30 minutes after preparation, as MacuView is all-natural and does not contain preservatives. MacuView is most effective when consumed daily and on a fixed time, preferably in the morning. MacuView should be used consistently. If you stop consuming the daily dose, the effect of MacuView will decrease.